The long, long wait is over my friends. 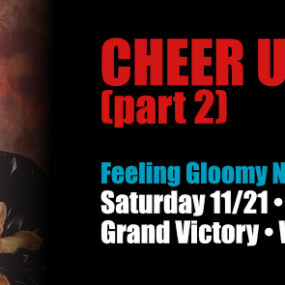 Yes, the rumors are all true, we are doing another Bowie night at Feeling Gloomy. It hasn’t been Five Years but it’s been quite a bit too long. We’ve kept you waiting for such a long time, we know. Because, well I’m not sure really, we just got distracted. But here comes Bowie with another album, namechecking krautrock and we got swept up in the moment. So THE WAIT IS OVER. IT IS FINALLY OVER.